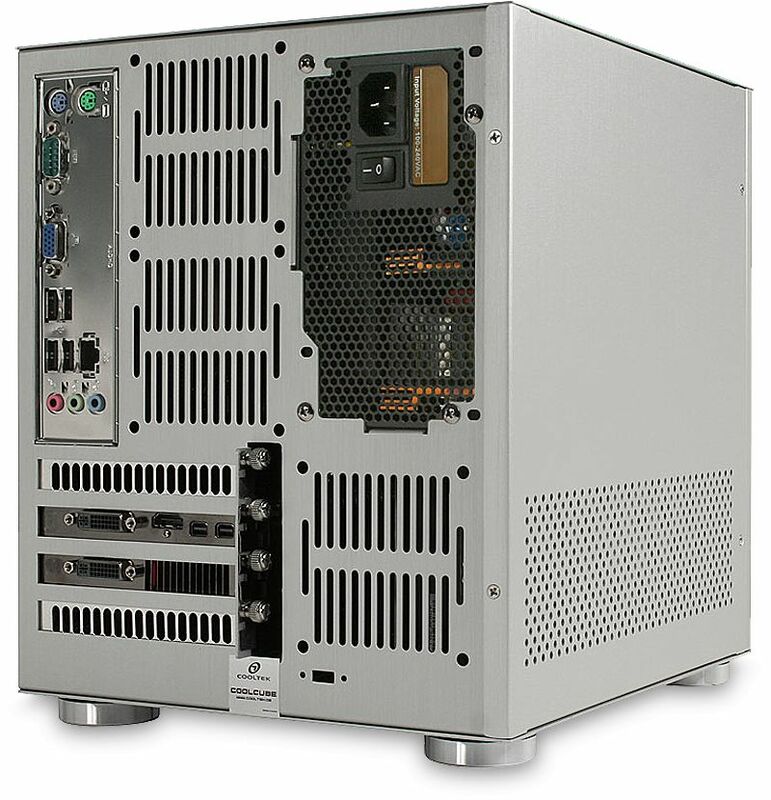 The Cooltek Coolcube Maxi is the largest of the Coolcube range that supports Micro-ATX motherboards and graphics cards up to 260mm in length, all encased in an elegant full aluminium chassis. The Coolcube Maxi is manufactured completely of 1.5mm thick anodised aluminium. The power button is centrally located at the bottom of the case. The Coolcube offers a classical, timeless design that blends in perfectly with any environment. The version is designed for a Micro-ATX motherboard with a standard ATX power supply and graphics cards up to 260mm in length. 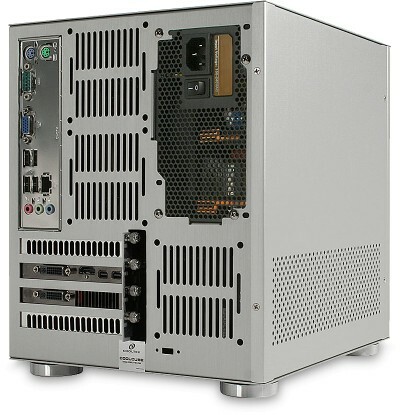 The case can accommodate either three 3.5" drives or two 3.5" drives and one 2.5" HDD/SSDs. A separate HDD holder is equipped for two 3.5" drives, at the case bottom which also supports 2.5" drives. The HDD holder can be disassembled in a few simple steps, which simplifies the installation of hard drives significantly. A total of four PCI expansion slots are available for the installation of graphics cards. You can mount VGA cards with a maximum length of up to 260mm in the Coolcube Maxi. The cooling system of Coolcube Maxi is designed to minimise noise. For optimal system cooling the left side panel is perforated, allowing a continuous exchange of air for the CPU cooler. On the rear of the case up to three 80mm fans can be mounted (if required) to aid in case ventilation. The use of aluminium also contributes to improved heat dissipation. Externally, two USB 3.0 ports are available, as well as the HD audio ports (mic and headphones). Appropriate hardware can therefore be connected quick and easy. The case also features four refined aluminium "HiFi" case feet that effectively decouple the case thanks to a special rubber-dampening material on the bottom of each foot.